SEOUL -- The world's last Cold War frontier on the Korean peninsula fell into silence for the first time in 65 years as South and North Korean troops enforced a landmark accord to stop all hostile activities such as artillery drills and field maneuvers inside maritime, air and ground buffer zones set up in front-line areas. The agreement, signed at an inter-Korean summit in September in Pyongyang, was put into effect after midnight Wednesday (1500 GMT), according to the South's defense ministry. Front-line cannons deployed on both sides of the land border were muzzled and naval ships on border patrol closed gunports. Military planes suspended provocative flights near the border. 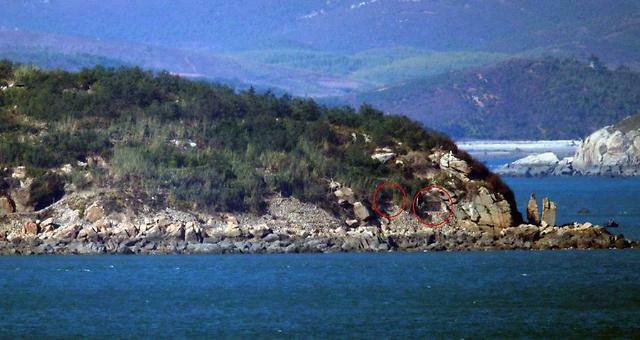 North Korea closed the gates for concrete bunkers and artificial caves housing guns in front-line coastal areas. The North's long-distance artillery also stopped firing into waters in the inter-Korean buffer zone. 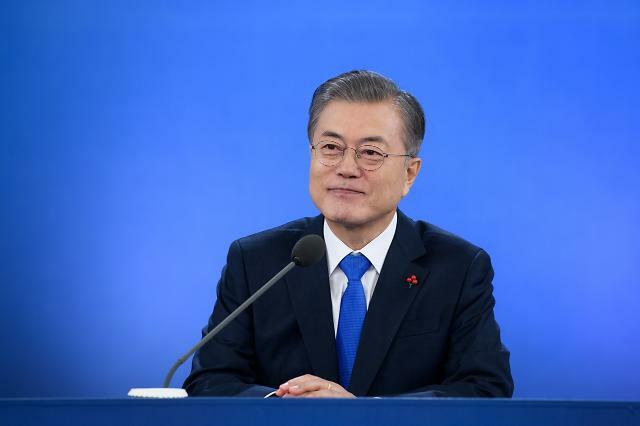 "Through the military agreement, South and North Korea completely eliminated the risk of military conflict on the Korean peninsula," South Korean President Moon Jae-in said Thursday in a budget speech in parliament. "The historical starting line for common prosperity of the Korean peninsula and Northeast Asia is right in front of us." The military agreement was based on the so-called Panmunjom Declaration signed by Moon and North Korean leader Kim Jong-un in April to work on ending the status of war, stop all hostile acts against each other and turn the demilitarized zone (DMZ) into a peace area. The DMZ is a four-kilometer-wide strip of land that has divided the Korean peninsula since an armistice accord ended the 1950-53 conflict. 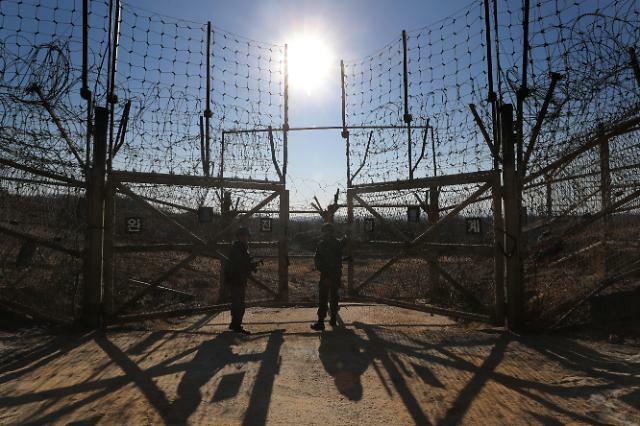 It has been heavily fortified with minefields, guard posts, concrete walls and electric fences. 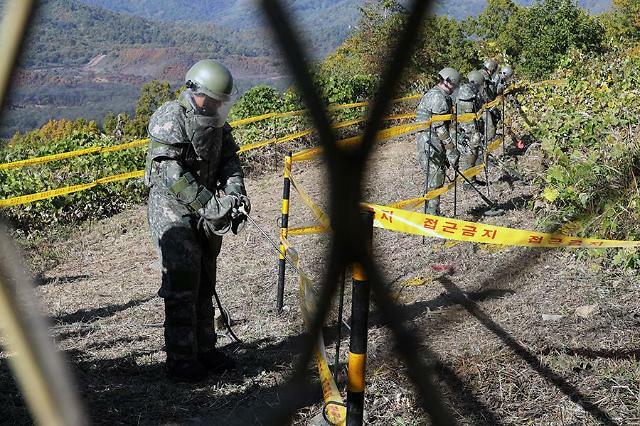 Now, the two Koreas run an extended buffer zone to remove the risk of war. However, a full inter-Korean detente has yet to come as North Korea has been locked in tough negotiations with the United States on how to achieve denuclearization. Trump has promised to forge a lasting peace regime in return for Pyongyang's complete denuclearization, but there has been slow progress in denuclearization talks. Washington wants quick and tangible steps while Pyongyang insists on a gradual and synchronous approach. During his inspection this week of a construction site in the Wonsan-Kalma tourist area on the east coast, Kim said North Korea would not succumb to "vicious" sanctions, calling for the successful implementation of state projects to promote the well-being of people and build a powerful nation. "The country still suffers from difficulty but lots of edifices to be envied by the world people, people's possessions and new happiness will continue to come into being on this land," he said, according to the North's official Korean Central News Agency (KCNA). "The hostile forces are foolishly keen on vicious sanctions to stand in our way toward promotion of people's well-being and development and to lead us to change and submission, but they will be made to clearly see over time how our country that has built its strength hundreds of times defying hardship to build its own country as a powerful nation by its own strength, technology and efforts," Kim was quoted as saying. At an annual defense conference in Washington, South Korean Defense Minister Jeong Kyeong-doo and his U.S. counterpart James Mattis finalized their decision to suspend Vigilant Ace, a regular joint air exercise originally slated for December, in an effort to build trust with North Korea. 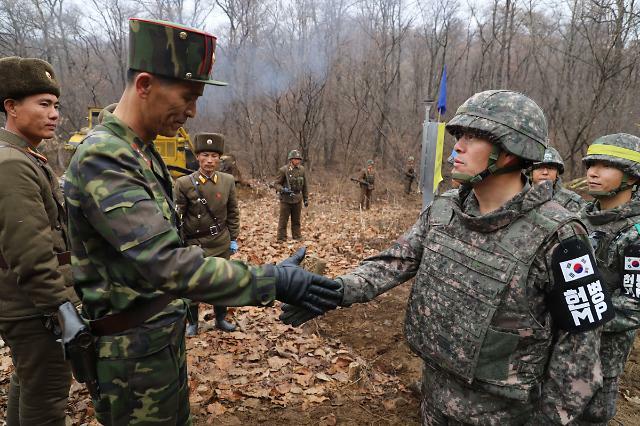 The suspension of major joint drills between U.S. and South Korean troops has raised concerns about a possible security loophole, but Jeong stressed that South Korean citizens do not need to worry about "any falls, any decreases, any negative impacts to our military capabilities or our readiness posture." "It's not like we've shut down all the collaborative exercises that we have going on. So we are not right now concerned with a loss of combat capability," Mattis said. "Clearly as we go forward we'll have to make adaptations to ensure we don't lose that capability but right now again this is not a total suspension of all collaboration and military exercises." 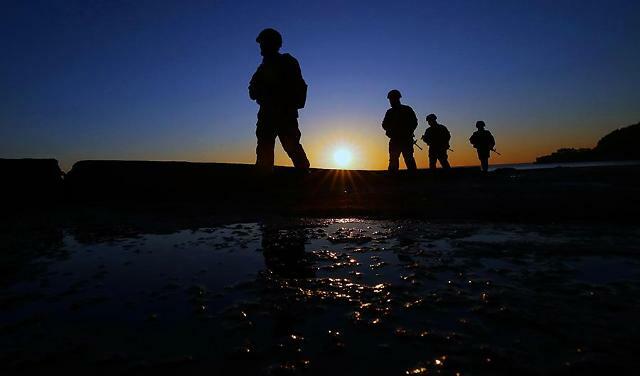 Jeong said that Seoul and Washington would make a decision on plans for next year's exercises before December 1 after a working-level review. "For our future major exercises, we have discussed today that we will conduct a review from our staff members and have the results of their review until November 15," he told reporters.